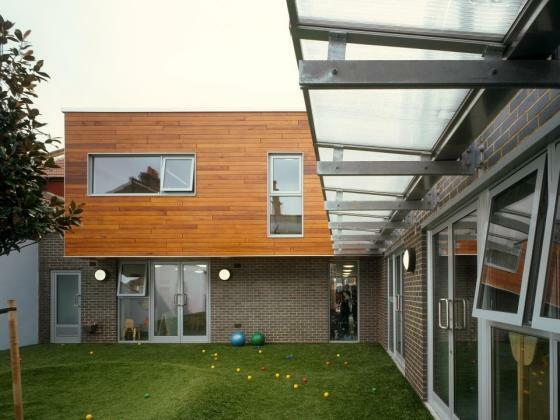 Edge Structures has a long association with Millfields School starting with the new children’s centre with Levitt Bernstein Architects in 2006 and more recently adding rooftop play decks as part of a refurbishment scheme with Shepheard Epstein Hunter. 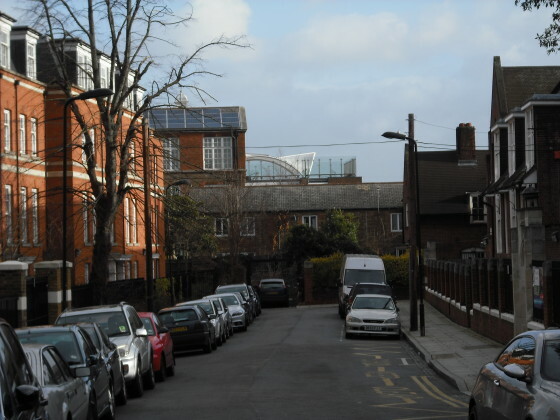 The two-storey Children’s Centre is constructed on a restricted site adjacent to the existing Victorian school. Of paramount importance was the need to minimise the loss of outdoor play space so play decks were incorporated on the roof over single storey sections. While domestic in scale, the building footprint is larger on three sides at first floor than at ground floor and the room sizes are different on each level. This necessitated a steel frame to achieve the cantilevers. The steel frame was infilled with timber for both wall and floor construction to maintain a lightweight structure and maximise the use of sustainable building materials. The success of the rooftop play decks on the children’s centre and the desire for more outdoor teaching space lead to a further scheme to add play decks on top of an existing two storey classroom block in 2014. This scheme has a fabric canopy supported on a curved steel frame which is in turn supported on a steel grid concealed within the new floor decking. Tall glass balustrades are provided with integrated timber seating and stainless steel balusters to reflect the detailing of the original roof decks over the children’s centre.